Assorted pastries, fresh fruit, smoothies made to order, organic Yo El Rey Roasting coffee and Numi tea are served daily in the parlor from 8am-10:30am. Please let us know in advance about any food allergies or sensitivities. 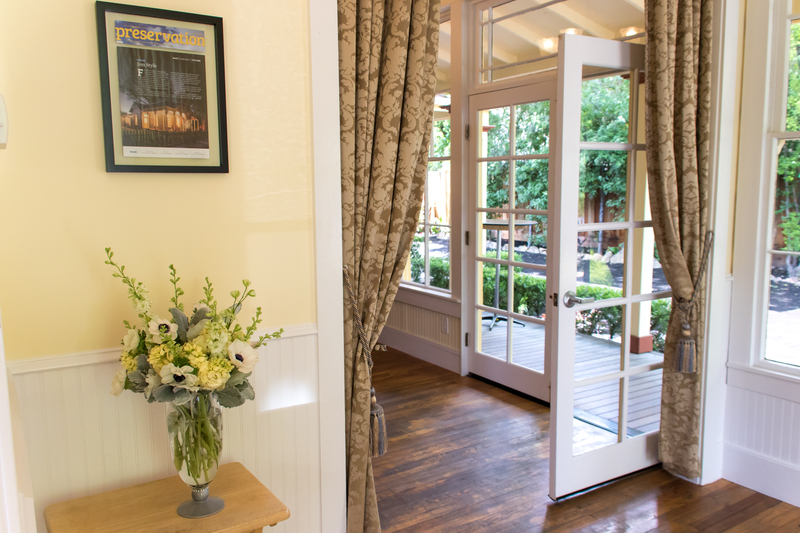 Guests of all Calistoga lodgings can enjoy complimentary use of the Calistoga Shuttle. No advance reservations are required; service is on demand. Reusable passes are attached to your room key. Ask us about it! 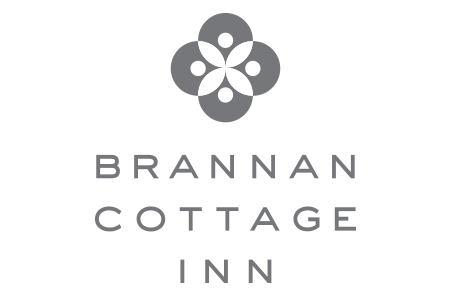 Thank you for noting that Brannan Cottage Inn is an ENTIRELY non-smoking property. All rooms and grounds are designated as non-smoking for the health and comfort of our guests. Super fast WiFi throughout the property? Check. Stream favorite movies or bingewatch that show you can’t live without, and – only if you must – check your email, instantly. Our skilled Concierge staff can created a custom itinerary for you with our preferred partners. From private wine tastings at tucked-away wineries, authentic hot springs spa treatments, limo service, to unforgettable activities and deluxe tours, we can’t wait to share our favorite experiences with you. Dreamy, top of the line Simmons pillowtop king & queen beds have duvet bedding with Frette linens. Deluxe toiletries & bath products by C.O. Bigelow Apothecaries, established in 1838. Luxuriate in plush Frette robes while you relax in your room. Each room has a private ensuite bathroom with rain shower & radiant heat. Want to start the morning with a jolt of high-test caffeine? Your in-room illy espresso machine is happy to oblige. If espresso’s not your eye-opener of choice, we have a selection of freshly roasted coffee by superb local purveyor, Yo El Rey Roasting, and Numi organic teas in our lobby. While our Inn is ideally suited for couples, kindly let us know in advance if you need a portable crib for your small travel companion. Each room has its own refrigerator/freezer for your convenience, so by all means, ask for that doggie bag at your favorite restaurant. 2 complimentary bottles of water are provided each day. Registered guests can park at the rear of the Inn, accessible from 1226 Stevenson Street. Elevated Fireplace King rooms each feature a private garden entrance, terrace with Dutch door, and cozy fireplace. Hairdryers, luggage racks and irons are provided in each room. Ironing board available on request.